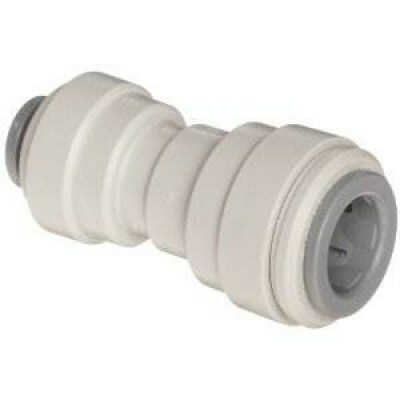 The John Guest Reducer Union Fitting 5/16 x 3/8 inch is used to connect tubing of 3/8" to 5/16" in either direction. It is a push in type fitting and has a release mechanism via pressing with equal pressure around the outer circle rim to release the tubing. NSF-51 For Food And FDA For Food And Beverage.